The future of America, more and more, is looking uncertain. Climate change issues are continuing to grow, and legislation in most states outside of California is reversing progress made under the Obama administration. Social issues in our country continue to concern as well. America is approaching a boiling point — one where it will need to decide on issues including transgender rights, immigration policies and citizenship in general. This is the time where, instead of going on social media and complaining about what’s wrong, college students absolutely need to make their voices heard through their ballots. 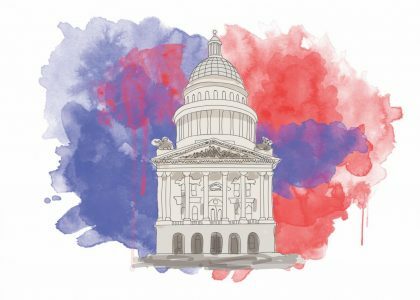 We’ve covered the California 2018 midterm elections and compiled it all in one place for you, ranging from coverage of events promoting civic engagement at Sacramento State to details about both statewide and local propositions and candidates for office. For Election Day coverage, follow us on Twitter, Instagram and Facebook. For college students who have little time to research, here’s a breakdown of the legislative races in the Sacramento area. 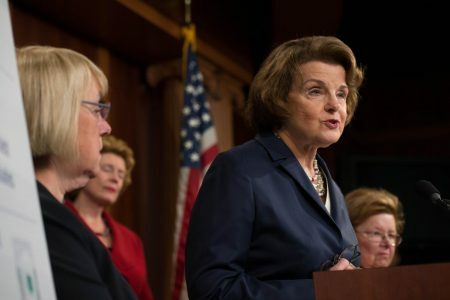 Dianne Feinstein in 2014 giving a speech on how student loans affect female students greater than men. Feinstein is running in the Nov. 6, 2018 election, seeking her 6th term as U.S. Senator. 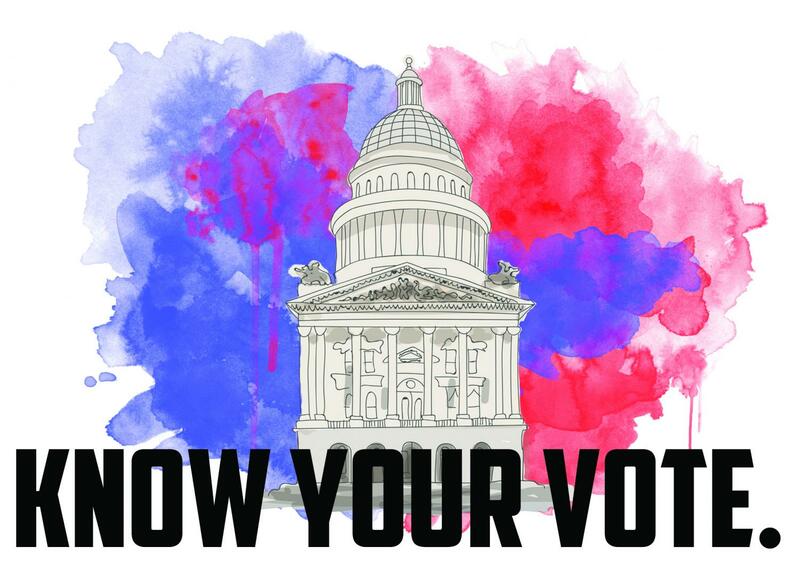 Here’s a simple breakdown of what’s on your ballot for California’s elected offices. Lt. 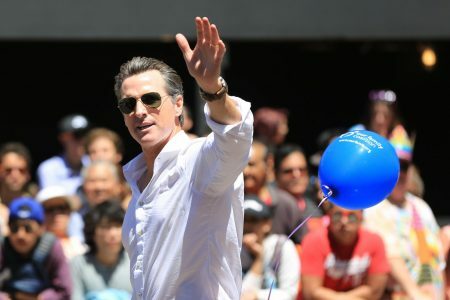 Governor Gavin Newsom at the 2014 San Francisco Pride Parade. Newsom has held the lead for the 2018 race for governor, the top of the ballot for state offices on the ballot Nov. 6. 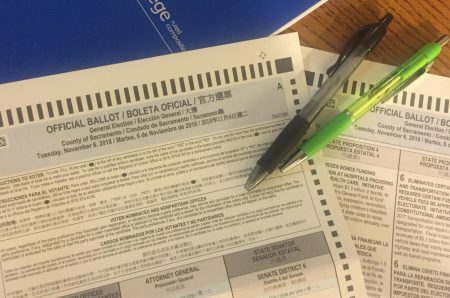 Ballot measures can be complicated, but they don’t have to be. Your state and local propositions, explained. A sample of the Nov. 6, ballot. California voters will have a total of 11 propositions to vote on. Hungry while voting? This organization will send you pizza. Pizza to the Polls is a nonprofit organization that delivers pizza directly to polling stations that Sacramento State students can take advantage of on Election Day. Voting center at Modoc Hall near the intersection of College Town Drive and State University Drive. Pizza to the Polls will deliver pizzas to voting locations with long lines Tuesday, Nov. 6. 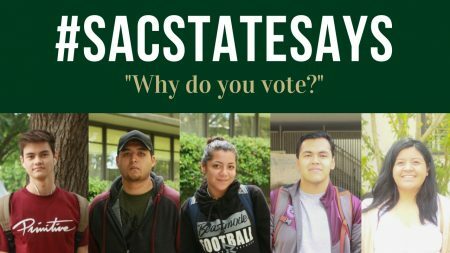 Sac State Says: Why do you vote? 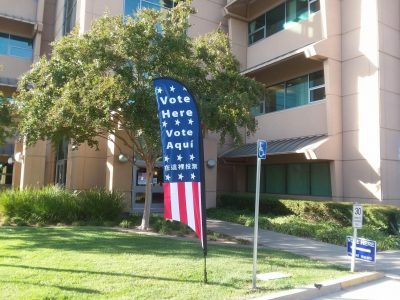 Find out why Sac State students decided to vote — or not to. EDITORIAL: Making your future starts by casting your vote. As Election Day fast approaches, it becomes more vital to not only be aware of the issues on the ballot but to actually vote as well.